Therapy can help improve symptoms of many mental health conditions. In therapy, people also learn to cope with symptoms that may not respond to treatment right away. Research shows the benefits of therapy last longer than medication alone. Medication can reduce some symptoms of mental health conditions, but therapy teaches people skills to address symptoms on their own. These skills last after therapy ends, and symptoms may continue to improve, making it less likely people will need further treatment. Mental health issues are common. Recent statistics from the National Alliance on Mental Health show 1 out of every 5 American adults lives with a mental health condition, while 1 in 25 adults lives with a serious mental health condition. Suicide is the second leading cause of death for people in the United States between the ages of 10 and 34. About 90% of people who die by suicide in the U.S. lived with a mental health condition. Telling someone they should go to therapy or that they need therapy can be stigmatizing. It may be difficult to watch a loved one deal with mental health challenges, but it’s important for people to choose to seek help on their own—as long as they aren’t putting themselves or anyone else in danger. Encouraging someone you care about to look into possible therapy options, even offering to review potential therapists with them, is generally a better way to show support. People who feel forced into therapy may feel resistant and find it harder to put in the work needed to make change. While therapy can help people work through issues that lead to thoughts of suicide, it’s usually not the best option for people in crisis. If you are in crisis, you can get help right away by reaching out to a suicide helpline through phone, text message, or online chat. You may be encouraged to call or visit the nearest emergency room. A therapist can help support you going forward, once you are no longer in crisis. When any type of mental health or emotional concern affects daily life and function, therapy may be recommended. Therapy can help you learn about what you’re feeling, why you might be feeling it, and how to cope. People who feel forced into therapy may feel resistant and find it harder to put in the work needed to make change. Therapy also offers a safe place to talk through life challenges such as breakups, grief, parenting difficulties, or family struggles. For example, couples counseling can help you and your partner work through relationship troubles and learn new ways of relating to each other. Note that crisis resources, not couples counseling, are typically recommended for abusive relationships. It may take some consideration before you decide you’re ready for therapy. You might want to wait and see if time, lifestyle changes, or the support of friends and family improves whatever you’re struggling with. If you experience any of the following emotions or feelings to the extent that they interfere with life, therapy may help you reduce their effects. It’s especially important to consider getting help if you feel controlled by symptoms or if they could cause harm to yourself or others. Overwhelm. You might feel like you have too many things to do or too many issues to cope with. You might feel like you can’t rest or even breathe. Stress and overwhelm can lead to serious physical health concerns. Fatigue. This physical symptom often results from or accompanies mental health issues. It can indicate depression. Fatigue can cause you to sleep more than usual or have trouble getting out of bed in the morning. Disproportionate rage, anger, or resentment. Everyone feels angry at times. Even passing rage isn’t necessarily harmful. Seeking support to deal with these feelings may be a good idea when they don’t pass, are extreme compared to the situation, or if they lead you to take violent or potentially harmful actions. Agoraphobia. People with agoraphobia fear being in places where they might experience panic attacks or become trapped. Some people may become unable to leave their houses. Anxious or intrusive thoughts. It’s normal to worry about things from time to time, but when worry takes up a significant part of your day or causes physical symptoms, therapy can help you deal with it. Apathy. Losing interest in usual activities, the world around you, or life in general can indicate mental health issues like depression or anxiety. Hopelessness. Losing hope or motivation, or feeling as if you have no future, can indicate depression or another mental health condition. Feeling hopeless from time to time, especially after a period of difficulty, isn’t uncommon. But when it persists, it may lead to thoughts of suicide. Social withdrawal. Many people feel better when they’re able to spend at least some time alone. Introverted people may need even more time alone than others. But if you feel distressed around others or fear being with other people, therapy can help you understand and deal with these feelings. What If I’ve Already Tried Therapy and It Didn’t Work? Sometimes therapy doesn’t help right away. Even in an ideal therapy situation, it can take time for symptoms to improve. Going to therapy and seeing no change may cause frustration. It may seem like a waste of time and money. Many people stop going to therapy as a result. Sometimes therapy doesn’t help right away. Even in an ideal therapy situation, it can take time for symptoms to improve. Other factors can impact how effective therapy is. There is no single, correct approach that works for everyone. Not every therapist will work for everyone, either. 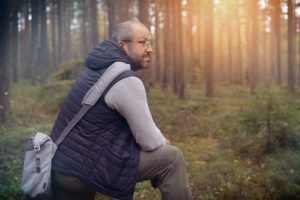 Having a negative experience with a particular therapist or a certain type of treatment can make it hard to try therapy again, even if you want support. It can help to look for a therapist who treats what you’re experiencing. If you don’t have a diagnosis, you can talk to potential therapists about your symptoms. An ethical therapist will let you know if they’re able to treat your concern. If they can’t, they may be able to recommend someone who can. Keep in mind different approaches may be better for different issues. Being misdiagnosed can affect how treatment works. If you didn’t feel heard in therapy before, or if you experience different symptoms, a different therapist might be a better fit for you. If you’re considering therapy, you may be thinking about the possible drawbacks. Cost might be a concern for you. You might also be aware that therapy is often difficult. Trauma or other painful events from the past can be frightening to remember, much less discuss with someone else. Even if you aren’t dealing with trauma, working through challenges isn’t easy, and therapy isn’t a quick fix. Therapy also requires honesty, with yourself and with the therapist you work with. But if you’re willing to do the work, therapy can be rewarding. It’s a safe, judgment-free space where you can share anything, with a trained professional who is there to help. You’ll learn more about yourself. Therapists listen to your story and help you make connections. They might offer guidance or recommendations if you feel lost, but they don’t tell you what to do. Therapy can empower you to take action on your own. Therapy can help you achieve your goals. If you aren’t sure of what your goals are, therapy can help you clarify them and set realistic steps to meet them. Therapy can help you have more fulfilling relationships. Whether you’re single or in a relationship, therapy can help you address difficulties with relating to others, such as insecurity in relationships or difficulty trusting your partners. You’re more likely to have better health. Research supports a link between mind and body wellness. Untreated mental health issues can impact physical wellness. On the other hand, people in good emotional health may be more able to deal with physical health issues that arise. Therapy can lead to improvement in all areas of life. If you feel like something is holding you back from living life as you envision it, therapy can help you address this. When you aren’t sure what’s keeping you from making change, therapy can help you discover the answer. Even if you aren’t sure you want to commit to therapy, many therapists offer a free first session or phone consultation to talk through what you’re dealing with. Based on your symptoms, they might encourage you to get help. Begin your search for a therapist today!